Dexter's THE 9 bowling shoes have a patented interchangeable sole design that requires specialized THE 9 Soles. 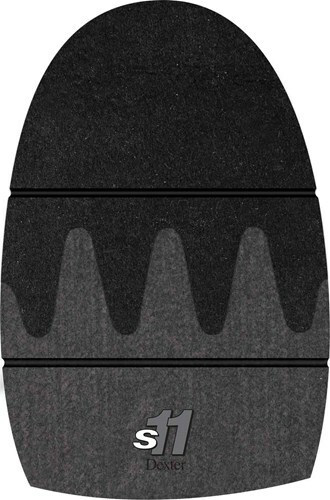 If you're looking for a sole that has extra slide, then this S11 slide is just for you! The soles are individually packaged and come ready to fit specified sizes. Hello Dave! In the description of the sole it says for a size 8.5 in mens, you will need to get the size Small. Due to the time it takes to produce the Dexter THE 9 S11 Slide Sole ball it will ship in immediately. We cannot ship this ball outside the United States.